Locus interviews Ann & Jeff VanderMeer. 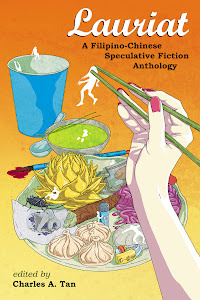 The Asian American Literary Review (Betsy Huang) interviews Ken Liu. Fantasy Book Addict interviews Brent Weeks. The Coode St. Podcast with Jonathan Strahan, Gary K. Wolfe, James Patrick Kelly, and John Kessel. 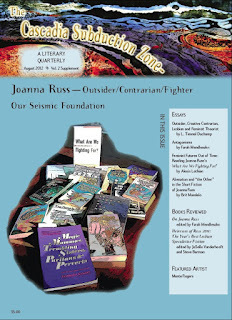 SF Squeecast with Lynne M. Thomas, Elizabeth Bear and Paul Cornell, and Very Special Guest Lois McMaster Bujold. Amelia Beamer on A Modest Proposal. Bryan Thomas Schmidt on 9 Great Urban Fantasy Series You Don’t Want To Miss. Carrie Cuinn on More than an Idea. The Qwillery (John Hornor Jacobs) on This Dark Earth. Will Shetterly on Over 100 Black Female Superheroes. Giant Freakin Robot on Find Out What SF Writers In 1987 Thought The World Of 2012 Would Look Like. L.B. Gale on The Great Geekbates: Heir to Star Wars. KGB August 15, 2012 photos by Ellen Datlow. 2012 eFestival of Words Best of the Independent eBook Awards Winners. io9 (Lauren Davis) on ABC is developing the steampunk adventures of Tom Sawyer and Huckleberry Finn. Yes, really.